Wayfair sold products to South Dakota residents, however, it did not collect sales tax as it did not have a physical presence in South Dakota. Under the physical presence test, it did not have to do so. South Dakota could have subpoenaed the required data and collected the use tax from its citizens, but it decided it was much easier to file suit to force Wayfair to collect the tax. The Supreme Court sided with South Dakota and ordered Wayfair to collect the tax based on the enabling statute. Assuming all states pass enabling legislation based on the South Dakota statute, a business now must estimate its exposure for future sales starting June 21, 2018, the day of the decision. This assumes that new enabling statutes will be retroactive to the date of the decision. If a company has financial statements prepared yearly for outside vendors, banks or tax returns, the estimate is required in order for the accountants to decide if it is material enough to be recorded in a footnote as a contingent liability. If you use computer software to prepare invoices, as opposed to using simple invoice forms, look for a sales report that is sorted by zip code. Ideally you will have this report exported to Excel so that you can process the data. If you do not use accounting software, then create a spreadsheet from your invoices, showing the address of the purchasers and the items, their quantity and price. Why the detail? Because a state may have exemptions for certain products such as food or medicine. With your spreadsheet you can subtotal your sales by state. South Dakota has minimum amounts that apply and you can use these as estimates of the minimums that would apply in other states. The minimum is 200 separate sales or $100,000 in annual sales. Once those minimums are exceeded, the obligation to collect the tax is triggered. You can use these minimums as the estimated minimums for other states. Subtract these minimums from your data. If they do not meet the minimums, then there is no estimated obligation to collect sales taxes for that state. If the minimums are exceeded, assume that the obligation to collect tax applies to all non-exempt sales. To estimate the total rate that applies to the state, the county, city and local assessment districts, such as water and sewer, use an all-inclusive rate of 10%. This includes the taxes and cost of compliance which will include time for registering in the state and filing the required yearly, quarterly, monthly or weekly sales tax returns, depending upon your sales volume. Now you have a dollar estimate, but the far more important factor is the time involved in complying with the ongoing collection process. 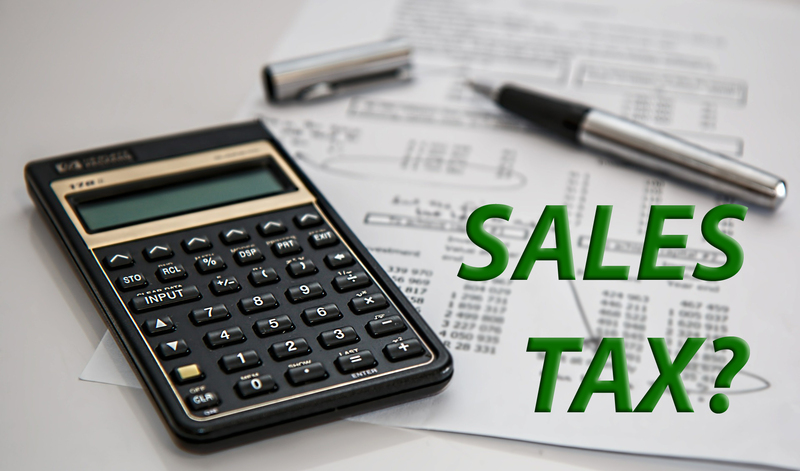 For states that exceed the estimated minimums, choose the largest in dollar amount and go through the process of determining the actual time and rates involved by contacting the state agency in charge of collecting taxes and find out what tools they provide to allow a seller to determine from who and how much has to be collected. It may involve filing four separate returns and payments if there is no provision for unified collection and assessment. Then, record the time for the additional work involved in looking up the rates and inserting them in the software as additional invoice items. Time to record an invoice will probably be double as the sales tax rates will need to be checked if rates have changed since they were originally input. So now you have an estimate – what do you do now? Depending on the amount, you can comply now or wait to see if Congress will correct the situation, or if the case will be overturned by a new court that results from the appointment of new judges. If you have any questions as to how this case may apply to your business, please give us a call.